This past week marked another year past since I came into being here on Earth. 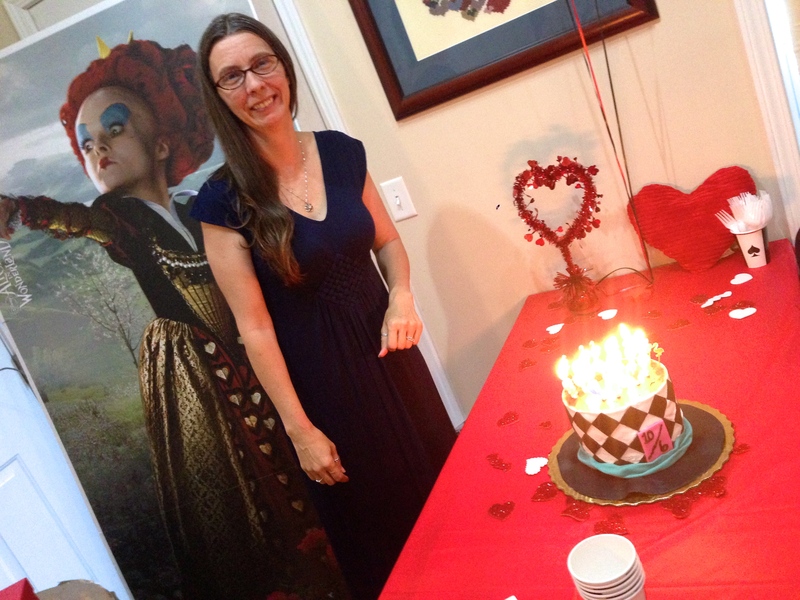 On Wednesday, I celebrated my 48th Name Day with a few friends and an Alice in Wonderland themed party of sorts. 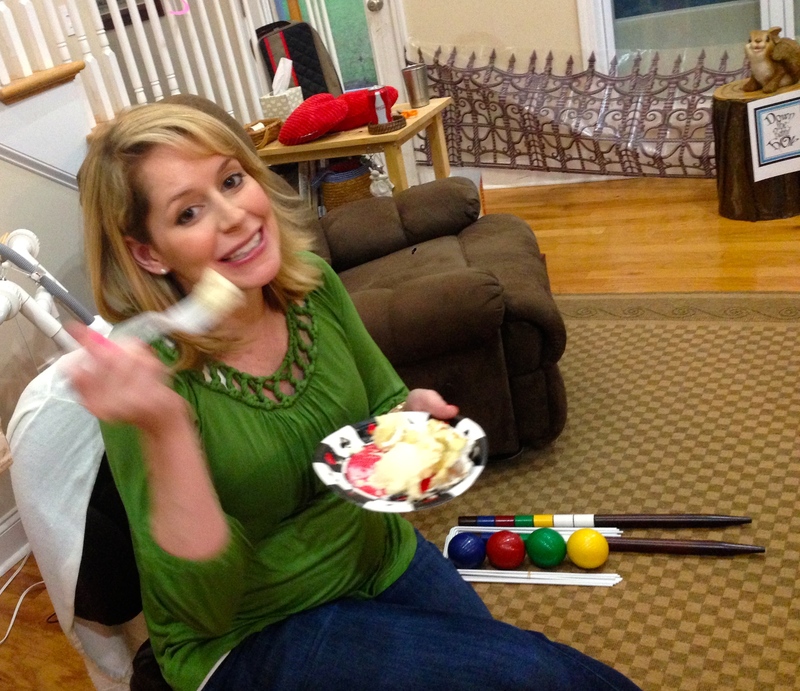 My sweet friend Keri helped Scott with the party planning, decorations, and cake (actually did all but pay for it). 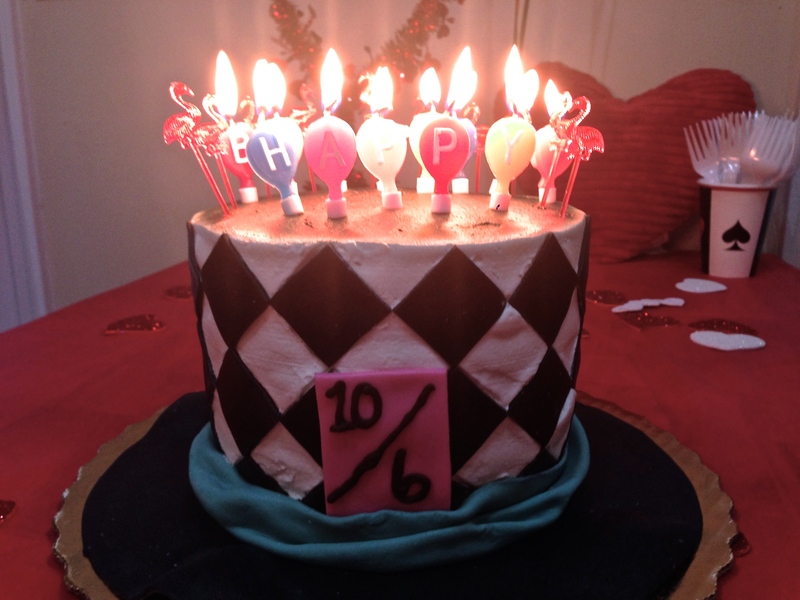 Since she is a master at fun and decoration, her skills were put to good use. 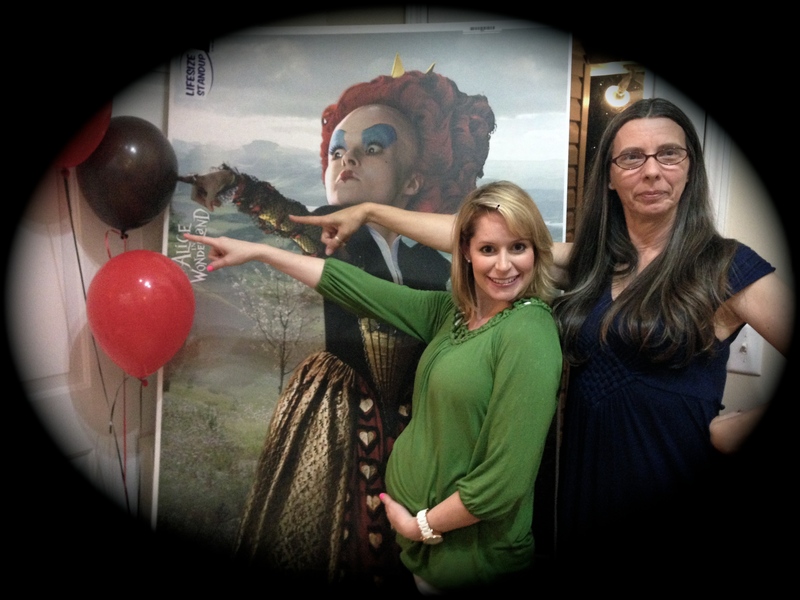 We had balloons, a picket fence, a rabbit (that her husband said seriously “creeped him out”), three enormous tree stumps (fake, but amazingly good imitations), balloons, a Mad Hatter’s cake, and a life size Queen of Hearts! Oh ya, she will come out again at Halloween, for sure!! I received a croquet set from Scott (just what I asked for). The croquet set is awesome! Unfortunately, it was raining on Wednesday and so we could not go out and set it up right away. My fiber friend, Reba, gave me a yarn “bowl.” Reba and I have been looking for various containers at thrift shops that had lids made of wood for just this re-purposing. Somehow, she was able to find this one and she cut the swirl out of the top for the yarn to pass through. This keeps the cat and the knitting separated. 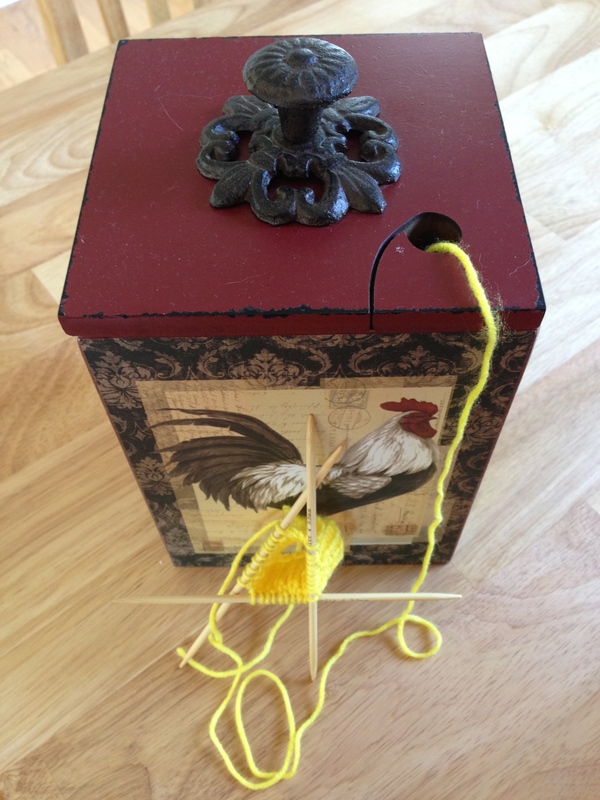 When I am not working on the knitting, it fits nicely inside the container, as well. Ingenious!! Generally, I like to spend my birthdays with Scott, doing very little, except the excellent dinner out. It has been about 18 years since I have had others share in my birthday and a lot longer since I have had an actual birthday “party.” This year it was really awesome to have my closest friends share my day with me. One I will remember for a long time. We had such a great time with you guys!!! Keri and Johnathan are such sweeties!